An occupational therapist and owner of a sensory toy subscription service describes the most popular fidget toys that can help calm children with autism. Discover the many ways to incorporate physical activity for someone with autism at home, in the community, and in the great outdoors. An occupational therapist shares seven tips for supporting a child with autism through stress, using a combination of sensory and cognitive approaches. The father of a man with autism shares his insight on ways autism has changed over the course of 30 years. The CEO of the Strong Institute provides guidance on ways to use musically variable rhythms to help calm and ultimately, promote sleep. Great advice on how autistic families worldwide can empower themselves through knowledge, tools, and support. Suggestions for making appropriate changes within a child’s environment according to his/her needs to help find a sense of calm. Learn about the impressive pilot program which started two years ago to determine if students with severe language disabilities could improve communication skills once they reached high school. Why Can’t We Talk About Autism in the Asian-American Community? A mother dramatically reveals the lack of support she and her son have received within her small community regarding his autism diagnosis. A developmental psychologist shares advice on how teachers can help manage the classroom and behavior. Terrific professional strategies to help you and your autistic child combat learned helplessness. A psychologist shares the touching letter she sent a coworker anguished by her own child’s diagnosis. Learn how an assistance dog completely changed the way a young woman faced her hospital stay and improved her treatment. The mother of a young boy with autism passionately requests that people recognize and support their challenging journey. A man with autism who works in the medical field and is a professor of theology shares his insight for successful marriages after serving on a panel at the Milestones 15th Annual Autism Conference. An author and motivational speaker shares his interview with an autism mom and cofounder of a shopping and lifestyle site for families with children with special needs. A photographer and mother to a young boy with autism shares how she uses creative images to reflect her emotions and enrich their relationship. A young woman with Asperger’s syndrome provides insight on autism and interesting ways to teach flexibility. An autism advocate dissects society’s perception of autism by comparing it to that of Albert Einstein, who was more likely to be categorized back in his day as gifted than someone unable to socially connect. Learn about an incredible new app designed to encourage children with autism to explore and integrate themselves into a supermarket environment at their own pace. Therapist Jennifer Giustra-Kozek moves away from conventional wisdom and shares nontraditional modalities that are bringing children back to health. Tera Girardin’s new book features 30 different children with autism and tells their stories through compelling photography and messages of inspiration, admiration, and celebration. Meet Laura Kasbar, the woman whose groundbreaking new web-based program helps people with special needs learn language and reading. A biographical fiction story written by an autism mom and advocate in an effort to generate hope for developing stronger relationships and understanding within the family. 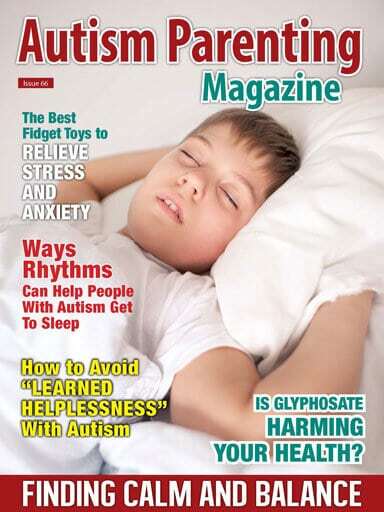 An American chemist, autism researcher, and the founder of the Great Plains Laboratory discusses genetically modified food, the weed killer glyphosate, harmful Clostridia bacteria, and their possible connections to autism. Expert advice on ways to select a trustee to protect your child with autism for life. It’s easy to prepare this nutritious selection of protein and veggies, with just a little planning ahead. This is one of my favorite quotes. No two people diagnosed with autism spectrum disorder (ASD) are alike—everyone has unique qualities, personal challenges, and distinct needs. While the amount of information regarding autism has exploded over the past decade or so, finding the right combination of therapies to help your child can still be tough. That’s why it’s so important to research the many strategies available. Many times, it’s a matter of discovering your child’s abilities and needs, and then developing a combination of approaches. Finding this special balance for your child, and your family, will make all the difference in your daily life. This month, we reached out to several doctors, occupational therapists, autism specialists, and parents in search of practical therapies and strategies to help your family create a sense of calm and balance. If you are looking for the latest professional guidance on autism, this is an issue you won’t want to miss! Does your child with autism experience high levels of stress and anxiety? Studies indicate that children on the spectrum can benefit from fidgeting, especially when using items which provide heavy work or tactile sensory input to the hands. In fact, people of all ages can use hand fidgets to improve focus, self-relegate, and create a calming influence. Please take a look at the piece The Best Fidget Toys to Relieve Stress and Anxiety as an occupational therapist and owner of a sensory toy subscription service shares the most popular fidget toys geared for children. Another challenge many children with autism face is getting enough sleep at night. We reached out to Jeff Strong for his professional advice, as he is the creator of the auditory brain stimulation therapy Rhythmic Entrainment Intervention (REI) and the cofounder of Brain Shift Radio. Take a look at Jeff’s insightful piece, Valuable Ways Rhythms Can Help People With Autism Get to Sleep, as he provides guidance on ways to use musically variable rhythms to help calm and ultimately promote sleep. The article includes free audio downloads for our readers as well. It can be difficult sometimes with all your daily obligations to find time for physical activity. We all know exercise is beneficial to the whole family, but did you know how valuable it is for children with autism? Studies indicate that physical activity not only increases social interaction, attention, and positive behaviors, but it also reduces stereotypic behavior, aggression, and stress. Please take a look at Josephine Blagrave’s piece The Importance of Activity and How to Include it in Daily Life as the program director of an autism center and mother to twins with ASD shares the many ways you can easily include physical activity at home, the community, and in the great outdoors. Again, it’s all about finding that unique balance for your family. Adding movement and therapies to your child’s day will also help with the transition to school this season. For tips on supporting a child with autism through this often stressful time, take a look at Deb Hopper’s piece called Simple Ways to Transition Back to School With Autism as the occupational therapist shares a combination of sensory (bottom up) and cognitive (top down) approaches. Children don’t react the same way to stress, so it’s vital to find the right balance. Just as no two children with autism are alike, the same can be said for autism families. There are those extended families who embrace a child with special needs—and then there are those who are unsupportive or actually deny an autism diagnosis. It can be painful for those who feel left behind by their families. Growing up in a strict and conservative first-generation Korean home in the United States, Sunny Jang has been made to feel alone, shunned by her family and tight-knit community because of her young son’s autism diagnosis. Please take a look at her article, Why Can’t We Talk About Autism in the Asian-American Community?, as Sunny describes the loneliness the mandated silence has made her feel. We also have a poignant piece this month called What I Don’t Tell You As the Mother of a Special Needs Child provided by Tulika Prasad. In her very personal piece, the mother of a young, nonverbal boy with autism passionately requests that people recognize, accept, and support their challenging journey. This is definitely an article you will want to share with friends and family. 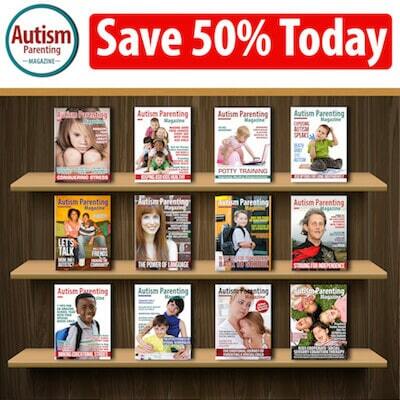 Over the past few months, we have been proud to present new regular features to Autism Parenting Magazine. In addition to our section reserved for amazing new products in ASD Marketplace, and our tribute to special advocates with our Autism Warrior column, we will regularly feature Dr. Debra Moore’s professional advice. We are thrilled to have her join our team as she has worked extensively with people on the autism spectrum as a psychologist. Debra coauthored The Loving Push: How Parents and Professionals Can Help Spectrum Kids Become Successful Adults with Dr. Temple Grandin. Be sure to read her piece, Simple Ways to Avoid “Learned Helplessness” With Autism, as she shares expert strategies to help you and your autistic child. And of course, we will continue to provide the wise words of financial and special needs planner Ryan F. Platt, update you on the latest books with What’s New on the Bookshelf?, and share delicious recipes from dietician Elouise Robinson of the Autism Food Club. We wish you success as you seek the calm and the balance you and your family needs.